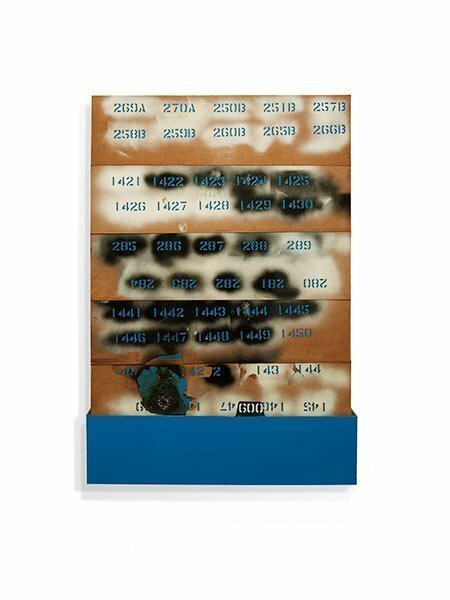 Stencils are layered over colored backgrounds, like signs tacked to a telephone pole, allowing the color to pour through in different areas like stained glass. 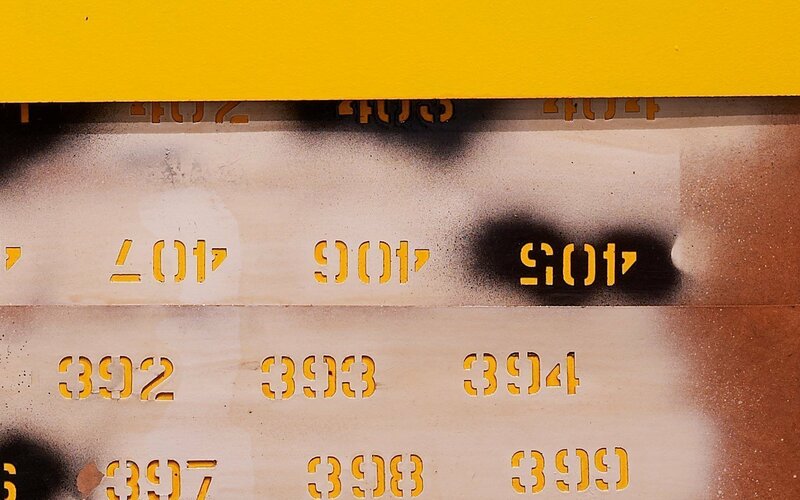 A bold band of color unifies the composition, echoing the color exposed by the stencils. 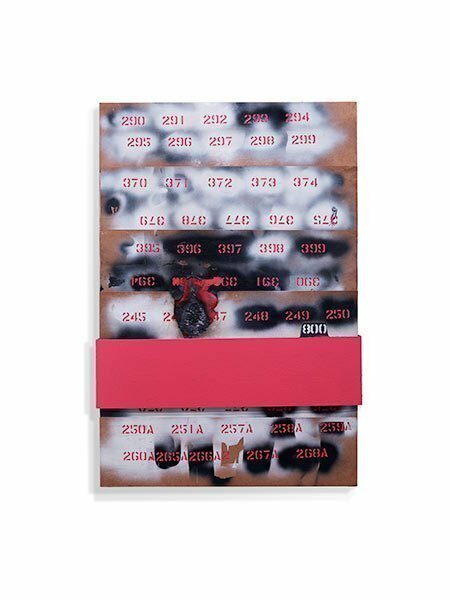 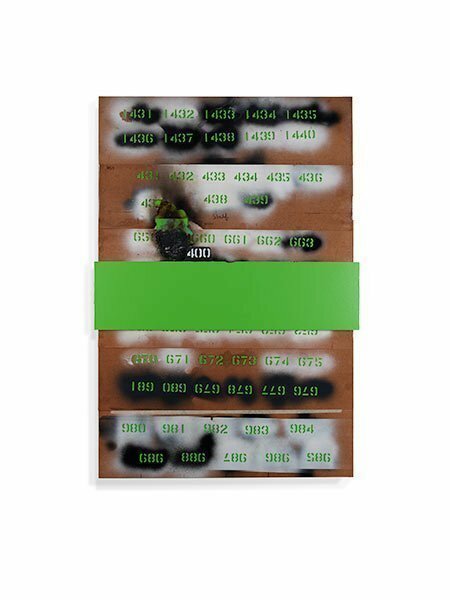 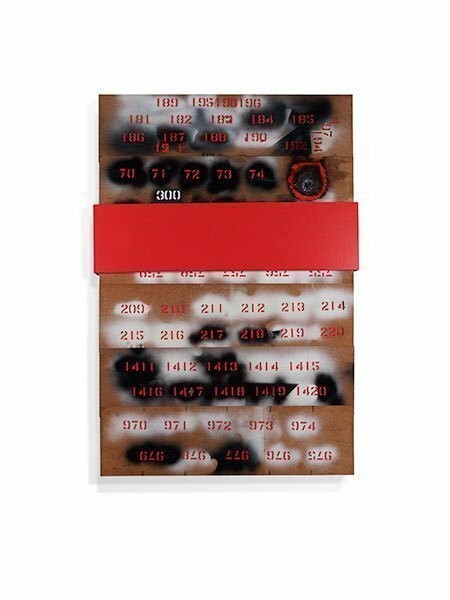 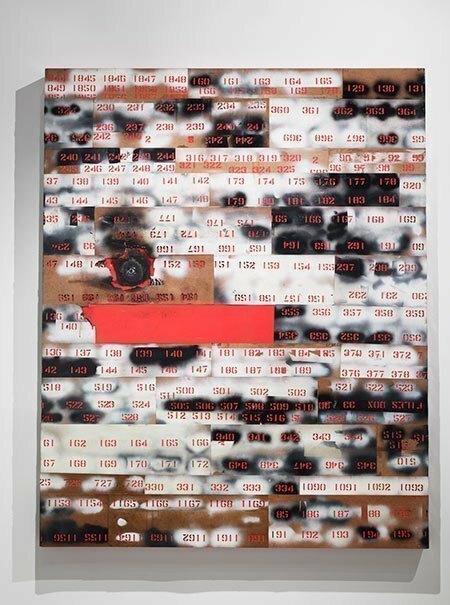 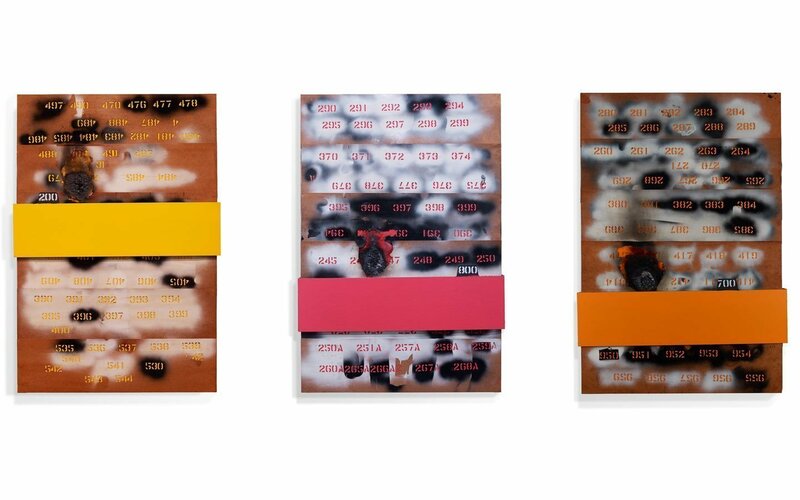 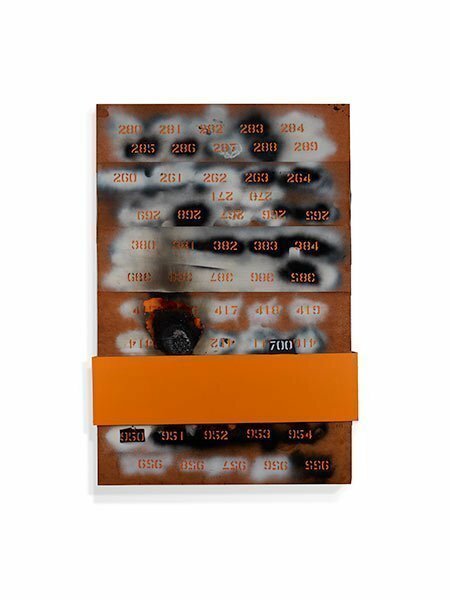 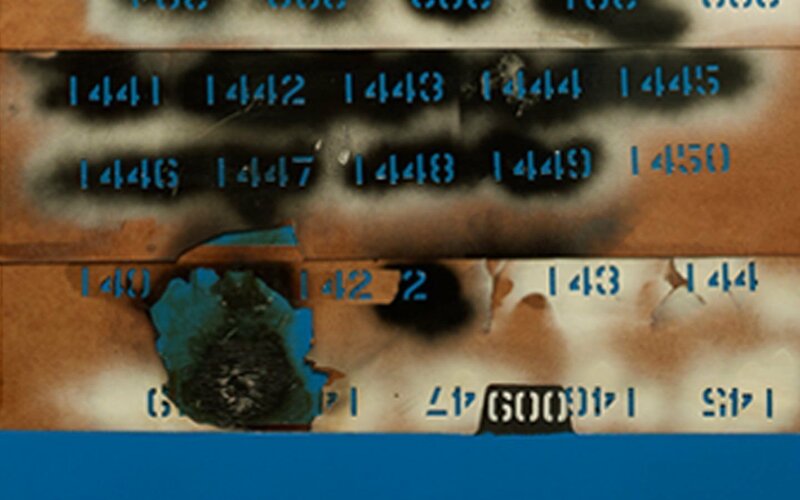 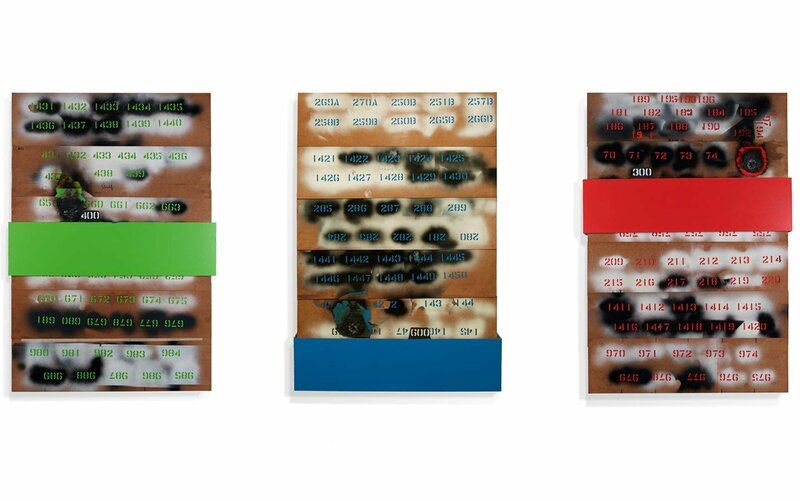 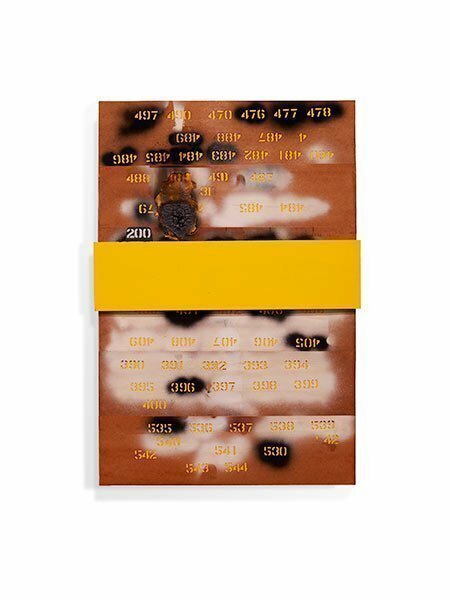 Continuing his interest in repurposing found materials into art, Huether used a newly-discovered box of vintage stencils to create his I Got Ur Number series. 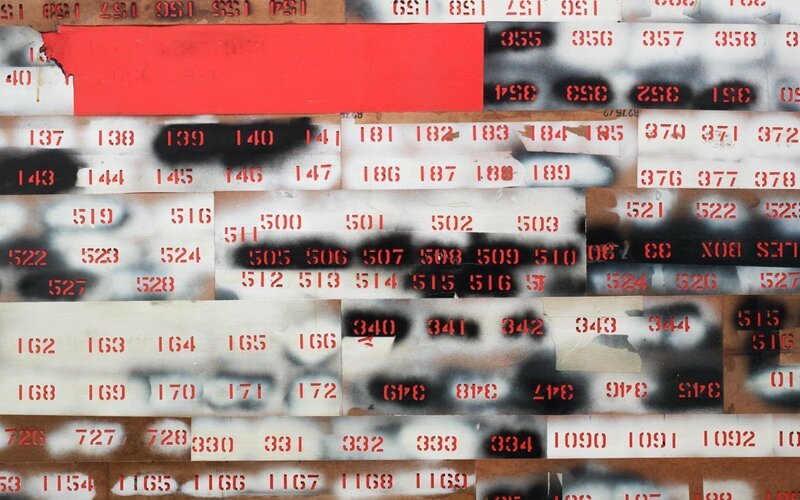 The stencils here form abstracted images derivative of stained glass and we are left to consider the rather enigmatic works purely for their aesthetic appeal.